f you own a car, you must need a car insurance....period. Did you know that car insurance policy has been ticked off as something mandatory in India? Well, not a new story but it has been prevailing for years now. Little were you aware though, a good count of cars plying on Indian roads fail to keep up with mandatory requisites of a third party insurance policy. There’s a lot more worse side to the story. Cars truck on the roads using fake policy papers. This paves a hard way for n number of third party liability claimants. Bagging in claims no longer seems to be easy because 30%-35% of four wheeler owners and majority of two wheeler owners (70%) do not sign up for a valid motor insurance policy. Agents in business are not motivated to trade-off third-party liability insurance too. Any clue why? Well, that’s because liability covers are not loaded with incentives. Therefore, chances of racking up good perks is quite less for agents. However, there’s a good number of reasons supporting why you should shop for a good vehicle insurance if you are a proud car owner. To begin with, it is very much for your safety and your financial aid. Not having one in hands is a foolish call. So, are you pumped to secure your favourite asset with a good insurance plan? Great! Now let’s give you a close look at the things to do before making the final call. Steps to follow prior of buying a car insurance. 1. 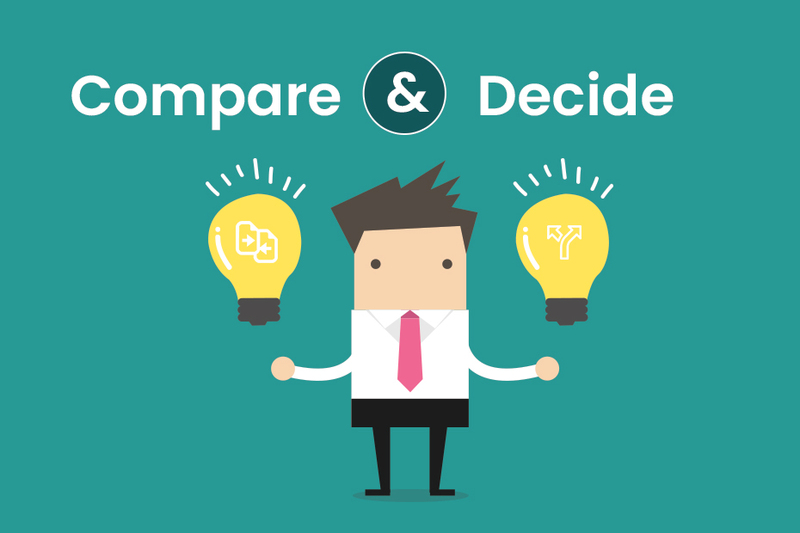 Analyse, Compare and Study - It is not just true for insurance but actually every investment you are making. Of-course you are aware that heaps of insurance products are up for grabs. Do you randomly pick a product? NO! You need to dig in deep, do some research work and choose the product that offers you the best deal in the least of money. In this way, you could win hands on a cover that shields your asset and finances by leaps and bounds. And, also save burning holes in your wallet. - Direct purchase from an insurance company. - Shopping from an independent insurance portal. Insurance are of many categories - personal, life, home and so on so forth. If you’ve already purchased riders for covering different assets from an insurance company, it is undeniably a safe bet to buy your vehicle insurance from the same company. Wondering what’s the benefit? Well, you can avail big discounts for holding multiple insurance covers from one company only. There’s a downside too and you must be schooled about it. The company you’ve opted to go with previously may not offer you the best deals. They might talk you into buying vehicle insurance by luring you with big discount stories but you might simply end up paying a lot extra. Tip - Do you fair share of research and studies. Shopping could also be wrapped after comparing several insurance options and getting quotes from various companies. However, following up with a thorough R&D does need a lot of groundwork. This is a traditional way of getting schooled about the different insurance plans available. There’s no getting away with the fact that a lot has evolved over the years. 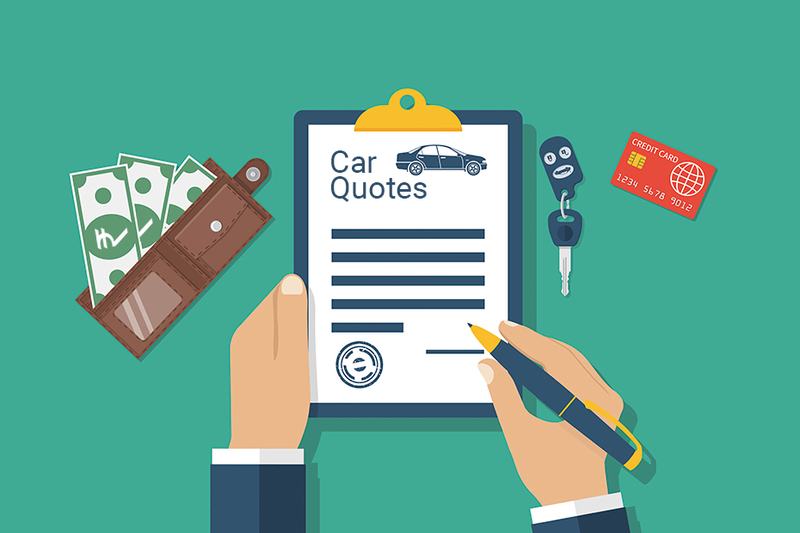 You could switch to a simpler option and still choose the best car insurance policy for your vehicle that’s also pocket-friendly. Insurance comparison portals are your best help. Certainly the finest in business is insurancedekho - your one stop shop for vehicle insurance needs.Spilling the perks is of worth here since it will keep your momentum on a roll. Here’s a couple of advantages you will bag in. a) Prompt professional assistance right at your aid, post filling out a basic application. b) Since comparison platforms are in business with a lot of insurers, you could easily avail diverse quotes from various insurers. c) Only the best of options would be presented to you. Insurance plans offering the best coverage and awesome pocket-friendly deals would be pitched to you for approval. 3. Added Coverage for Better Protection - Insurance, also reckoned as a protector can be topped using ample of add-ons. This definitely increases the value and function of your insurance. However, signing up for unwanted add-ons will only burn your pockets. So stop, think and figure out how much coverage you really need. Pick smart and burn less. Learn about the types of coverage options - Vehicle insurance include a variety of coverage options. Few of these options can be elected while the rest are compulsory. Personal Injury Add-On - On topping up your car policy with a personal injury cover, the insurer foots all medical bills for the insured and the passengers putting up with the odds of an accident. Insurance Against Collision - If your vehicle is smacked down due to an accident or collision, the damages and dents are covered by the insurer. Liability Cover - Also known as Third Party car insurance, the insurer hands out claims for bodily injuries and damages in the vehicle or the third party’s property, particularly if the insured person is at fault. Uninsured Motorist Cover - Accidents can happen even if you are not at fault. Opting for this cover ensure that the insurer pays out claims for damages in the vehicle regardless of the fact that the motorist is insured or not. Roadside Assistance - This is truly an affordable add-on that if coupled with a comprehensive auto insurance plan maximises the value of the policy by large. Comprehensive Cover - Vehicles can incur damages as a consequence of fire, flood, theft, earthquake and other unexpected involuntary calamities. Restoring the vehicle post extensive damage can cost you riches. Having a comprehensive auto insurance cover in store clears you off the debt and pays for your vehicle’s damage restoration process. - Distance you drive. After-all, the more you drive, chances of bumping into an accident are higher. Therefore, there is a pressing need for more coverage.- Places where you park your car. A lot depends on the locations where you are driving and spots where the car is parked. Keen to learn why? If you are often on the wheels while driving around the high-traffic zones, the probability of putting up with accidents increase. Where you park your car is of monumental importance here. If the location is infamous for unwanted break-ins in vehicles, the liability is certainly more. - Think about the people who will be driving your vehicle. If it’s not just you steering the gears, you might want to look out for an increased coverage. 5. Ask for quotes - After submitting an application, requesting for quotes, it could take a couple of minutes for the agent to get back to you with varying quotes from different insurers. Thinking on foot here might not be of any use. You need to exclusively look into two factors - premiums and deductibles. There’s a theory that needs to be remembered - higher the amount of deductibles, lesser is the premium to be paid. On the contrary, lesser the count of deductibles, more is the amount one needs to shell out as premiums. Flipping through the quotes presented is not enough. You need to look into the company record as well. Afterall, it is crucial to have a clear picture about the company you are dealing with. Examine the policy quotes and choose the most effective and pocket-friendly option. 1. Seek for a bundled car insurance cover - Think you are shelling out more than usual as premiums? Well, going down the bundled route could befit you by large. Are you not familiar with the concept? As the word clearly spells out, if you’ve already opted for policies securing your health, home and other assets from a particular company, you could always bundle the plans and add a vehicle insurance from the same insurer. How is this advantageous? Well, you could be rewarded with a fair number of discounted premiums. 2. Choose to go with voluntary deductibles - Did you know that opting for voluntary deductibles could cut-down your car insurance premium? It’s true! So, make sure you think hard about switching to voluntary deductibles instead of compulsory deductibles. 3. Keep tabs on the insured declared value of your vehicle - Paying out your car insurance premium very much depends on the IDV of your car. For instance, the insured declared value of a new car will always be more than the IDV of the same model but manufactured a year earlier. 4. Engine Capacity in the vehicle - Car insurance premium is directly dependent on the vehicle’s engine capacity, also known as the cubic capacity of the car. Geographical location of the car is also an important handle. For the same make and model, one might be paying higher premiums by residing in metropolitan areas and a much lower premium when staying at semi-urban areas or rural localities. 5. Comprehensive Car Cover - Damages in a vehicle are expensive to restore. A comprehensive insurance plan will keep your vehicle safeguarded and expenses covered in circumstances of accidental fire, robbery and other unprecedented damages. So, a basic third party cover is good but a comprehensive cover is the best. 6. 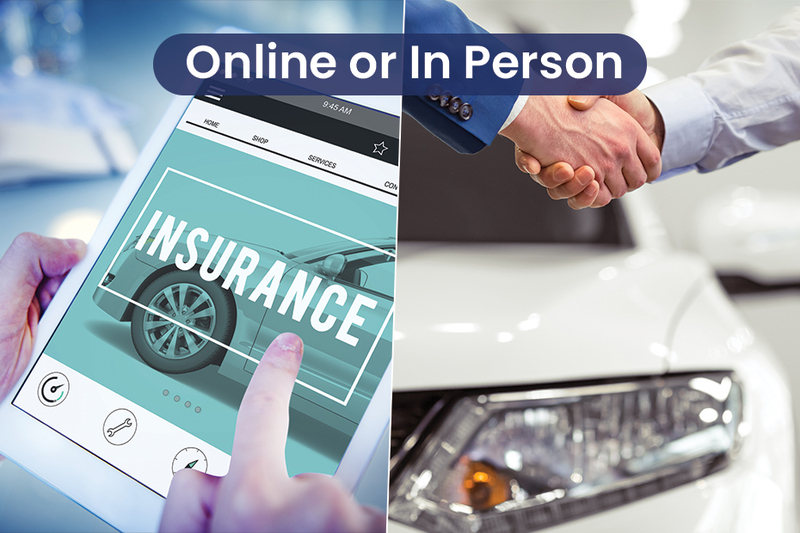 Purchase Add-Ons based on your risk profile - If you are often on the wheels late at night, driving long distances, a roadside assistance cover is appropriate for you. Not only will it cover for your expenses in case of sudden break-down but guarantee on-road support when you are deserted in a far-fetched land. Don’t be one of those unaware car owners that shops insurance as a matter of formality. Price to be paid out as premiums is not just counted as a number one factor but a deciding factor when buying vehicle insurance. Do you realise what you could be missing out? Optimum protection cover. It is much need in case of accidents and sudden unforeseen situations. Drop in at www.insurancedekho.com and compare the policies today. It is indeed a smart way to kiss goodbye to all the hassles. Disclaimer: Every detail provided in this website is for information purpose only. Insurancedekho under no circumstances, endorse the information provided. However, we are constantly doing our best to keep our privileged customers up-to-date with neutral and factual information. Don't Know Car Registration Number ?Bought a New Car ?